Time to start a thread of my progress. 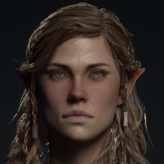 I'm a 3D generalist that has for many years failed to specialize, but I want to change that and dedicate all my spare time to more realistic characters now. This will be a sketchbook thread of sorts and I'm looking for help to get me on my way and focus on improving my core character art skills. Here's some things I've done already. Feel free to crit, however I won't be going back to change, but it would be beneficial if you have any opinions on what could be improved regardless. 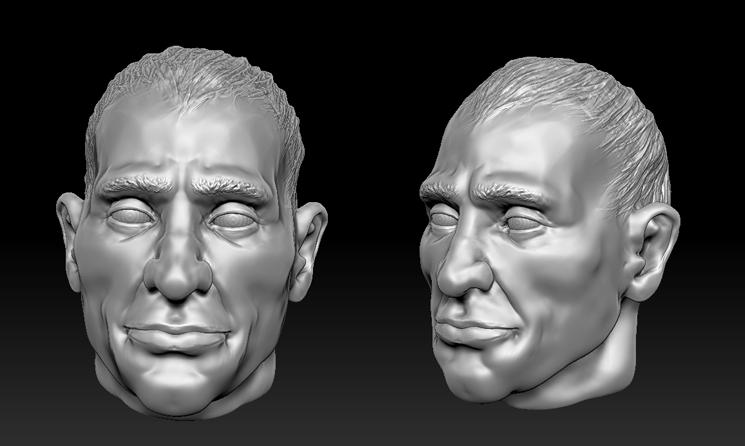 This is a bust I'm working on at the moment. I have a real love for sci-fi so I'm considering giving him a helmet or some hard surface element to give the sculpt more character. This is looking good man. I like that first brink-esque one especially. If I had some advice for you for the future, it would definitely be to try and get some skeletal anatomy in there. Especially the skull. It looks like the faces are a collection of muscles, without anything rigid to attach to. I think if you studied some skeletal anatomy it would benefit you greatly. Thanks John. Yeah I've been studying muscle forms and considered doing some skull studies before those, but decided to skip sculpting any bones. So I will take your advise and have a more in depth look at the skull. Is there any problem area your spotting? Thinking about it the cranium in my sculpts may not be large enough, and it's definitely too flat at the top of the Brink inspired guy. So, adding some hard surface sci-fi elements to this guy. These are quick 3d sketches. I don't think 2 is working. Maybe elements of 1 and 3. I will also add some more detail to his face/head to blend with the suit bust. Any opinions? 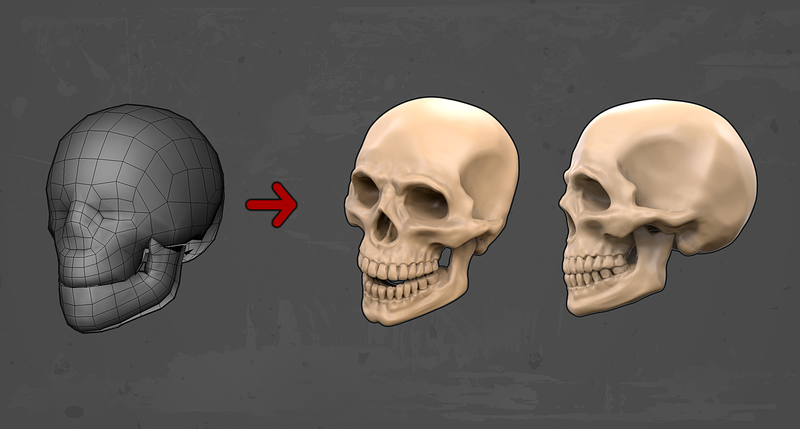 Thought I would take John's advice and do a skull study. Learnt some interesting stuff. I think for a real benefit I need to add the facial muscles And start thinking about how this sits underneath a face. So that next I suppose. ....and some muscles wrapped round the skull. it was difficult to find reliable reference for this so hopefully this is close. Cheers. 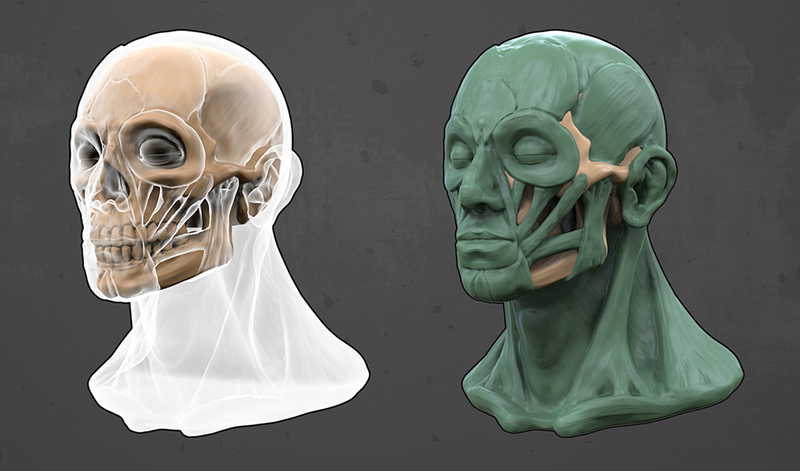 Yeah the skull and muscle sculpting was a lot easier and quicker than I expected so I recommend giving it a go. Just find some good reference! teeth on your skull look kinda weird. most notably, fangs have the same shape as rest of front teeth. Yeah, I considered giving him more pronounced canines if those are what you are referring to. But how strong they are varies a lot between peoples teeth, and a few references I had didn't show them as very strong at all. Mine are very pronounced though. Maybe should have gone for something between the two. Some legs. These were pretty tricky. A hand. I found this a very difficult thing to sculpt. Not completely happy with it, but need to get moving on. Merry Crimbo all! Really wicked work here dude! 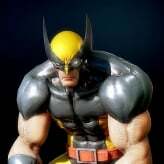 I really like the leg sculpt, but are the glutes off a little? I thought the tendon connected to the tibia (or fibula) and didn't wrap the whole way down to the ankle. I was doing a similar project and had some difficulty getting reference on that area too. In UDK there's a material expression called Fresnel in the material editor that you can use to get that glowy falloff effect. You're going to want to fine tune it to get the result you want though. Yeah it's tricky depending on which reference you're working from. As they are usually artists interpretations a lot of my anatomy reference contradicts itself. But then it also depends on what layers of muscle are on display and what's being emphasized as Ged said. I'm pretty sure the section you mentioned continues down as well as gets inserted. I probably didn't emphasize the insertion enough. Done with this lady I think. My first completely hand painted character. Not my strong suit but I feel more confident with it. I really really dig this character. She's simple, fun design, and a great cartoony style. This is the kind of character work I wish I saw more of. Congrats on an awesome character! 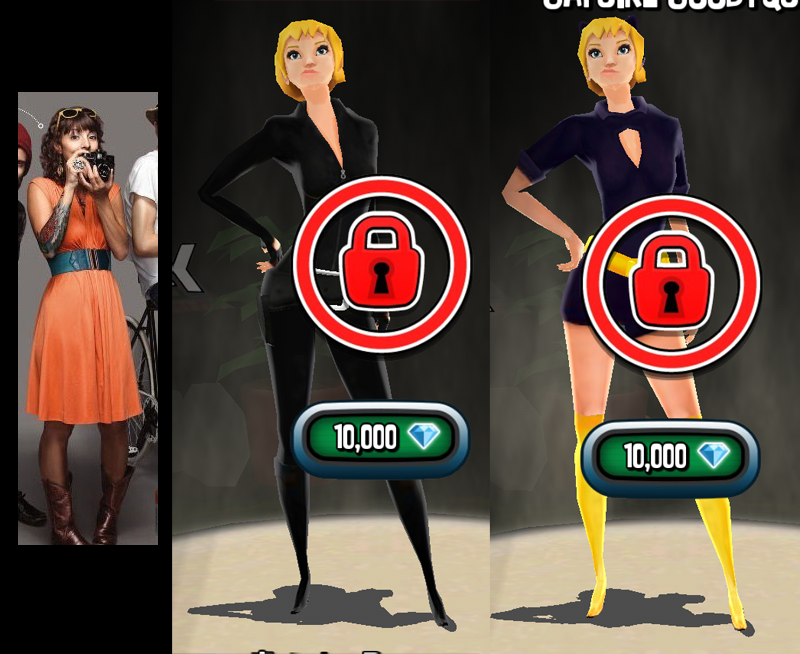 Fomori you've really done this chick justice. Nothing over complicated and plenty of areas to let the viewers eye rest. Plus each images you've given us has a strong silhouette to it. I've only got on small late suggestion. maybe you could add a bracelet to break up the symmtery. Thanks very much skylebones and Di$array. 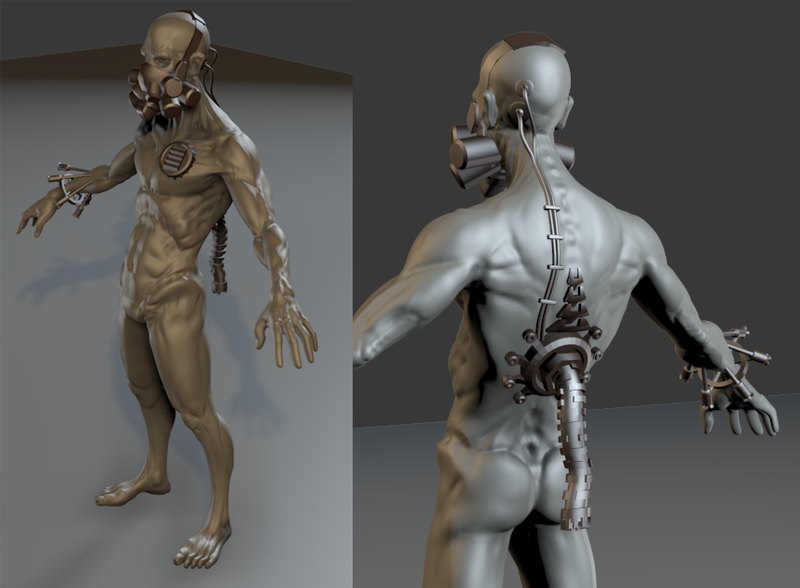 Great stuff, especially the sci-fi concepting on one of your sculpts; awesome to see that sort of stuff. Lookin forward to your future posts. Thanks haz3y. I plan to return to that sci fi concepting. Overall it looks good but you've got a mistake on the back. The infraspinatus and the 2 teres muscles flow in the opposite direction. Look here for reference. The teres minor runs below the 3, and the major above them. Wow, all your stuff looks great. I feel inspired. Nice one Fnitrox! I'll make that area a bit clearer and make sure the major comes out a bit and runs over the others. I was using body references rather than anatomical/muscle, so I was guessing it a little in that area. The Safari animals in your portfolio are awesome as well. This site has helped me out in the past Of particular interest are the articles on eye location and if you want to go really crazy you can check out the tissue depth charts. Just some minor tweaks, but going to move on from this now. 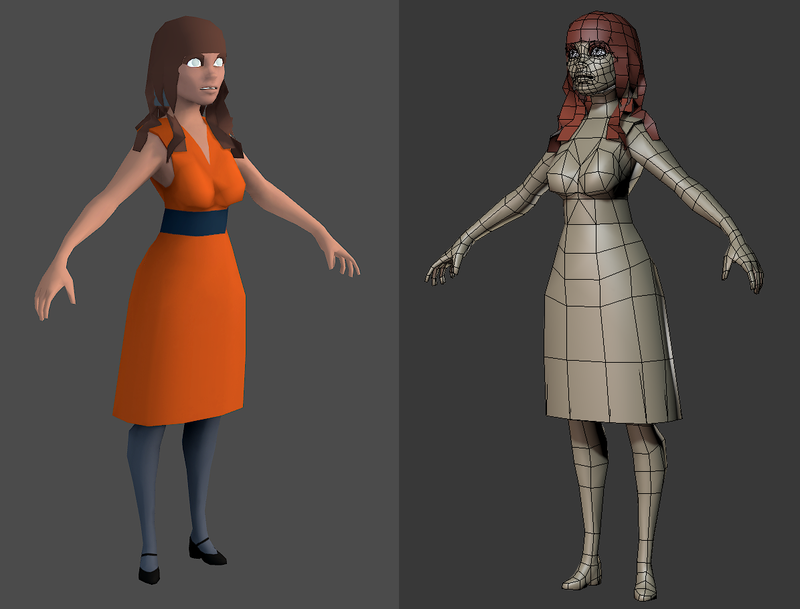 I will eventually return to it to do the full figure and have it as a kind of base mesh. WIP. Trying for something a bit more realistic. Want to paint on photo textures and go to town on that. 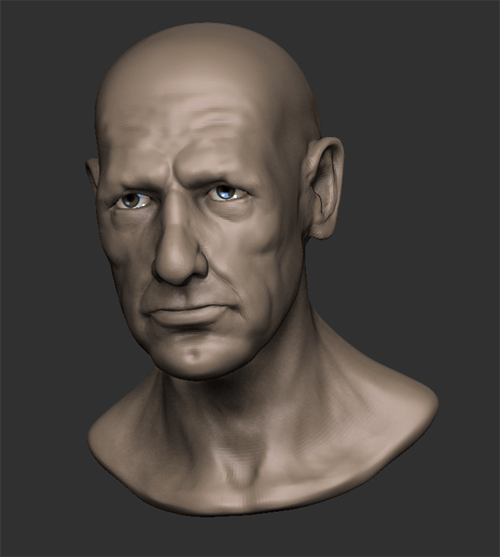 Going for a tough cop look and just a bust - no plan for a full character. Adding detail and asymmetry. Super quick paint over of the eyes just to get a feel for them. Really liking the look of these pal, good work! Also what material are you using on these? 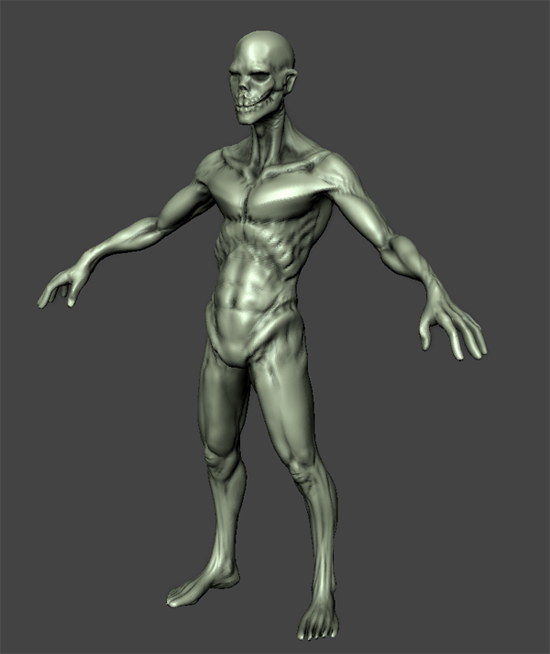 Sketched this Ghoul type guy in Mudbox. Think I might take it to a finished character. Instead of going for a fantasy Ghoul I'm going sci-fi and turning him into an escaped genetic cryotube experiment. Roughly blocking out accessories. 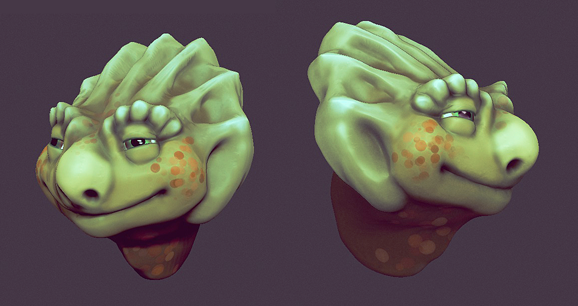 Quick fun sculpt this weekend before back onto my cryo guy (90s sitcom Dinosaurs anyone?). Based on the guy below. Might just tweak some more and add hair. Hey looking good, getting a lot of variety in there, and I like the non standard references you're choosing. Thanks ysalex. 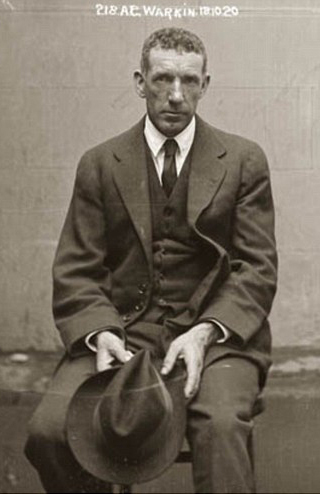 I'm getting together a folder of interesting faces and old photos are my favorites. Finished this bust. Drifted away from the reference a bit. 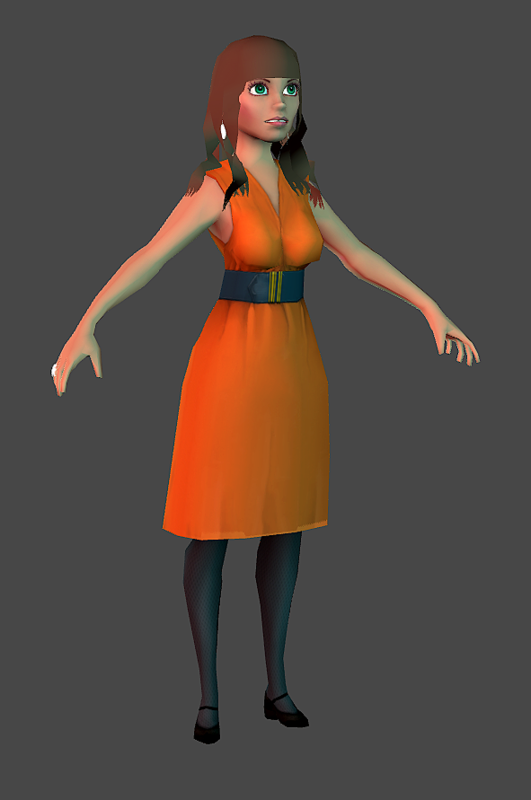 One of my first proper renders in Z brush (still getting to know the software), so not completely sure what I'm doing. Pretty pleased with this guy. Definitely my best work to date. 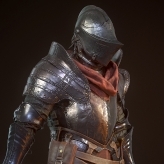 I might do a polypaint and low poly of him. Going for a Humphrey Bogart or James Bond look. 1940s/50s. Separated into sub tools and on it's way to looking better I think. Arms were too long so sorted that. Thanks Torch. I've made the head a bit smaller. Don't want to go any further as I'm going more for realistic proportions rather than heroic. 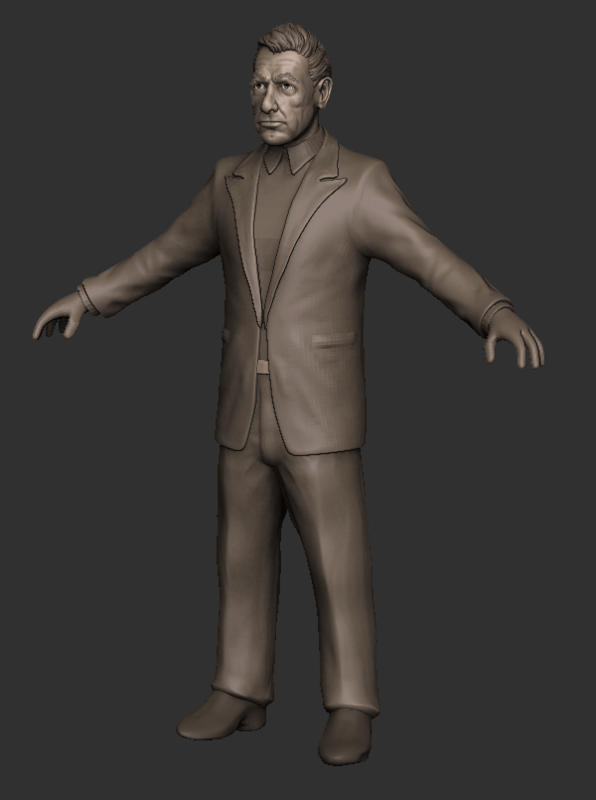 Here's some progress (trousers and shoes still very rough). 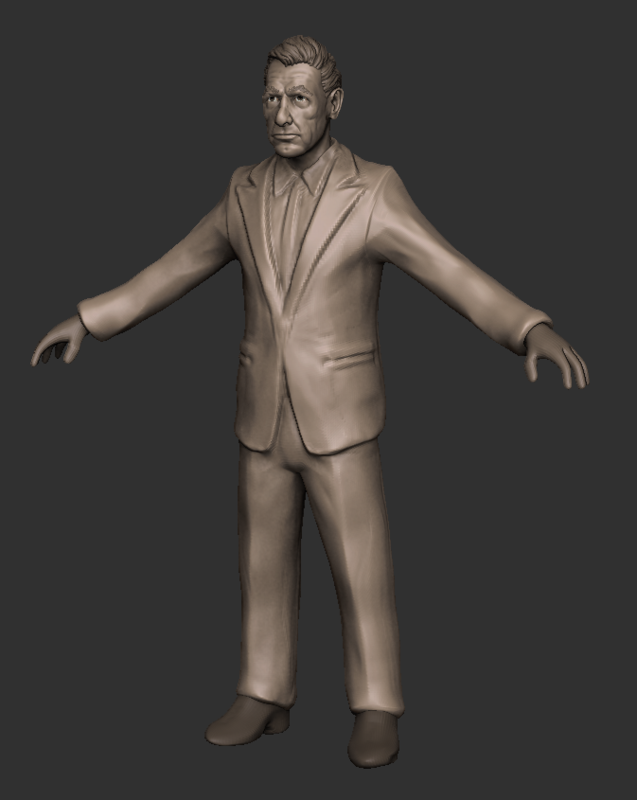 Hoping to get the hi-poly done this Easter break. 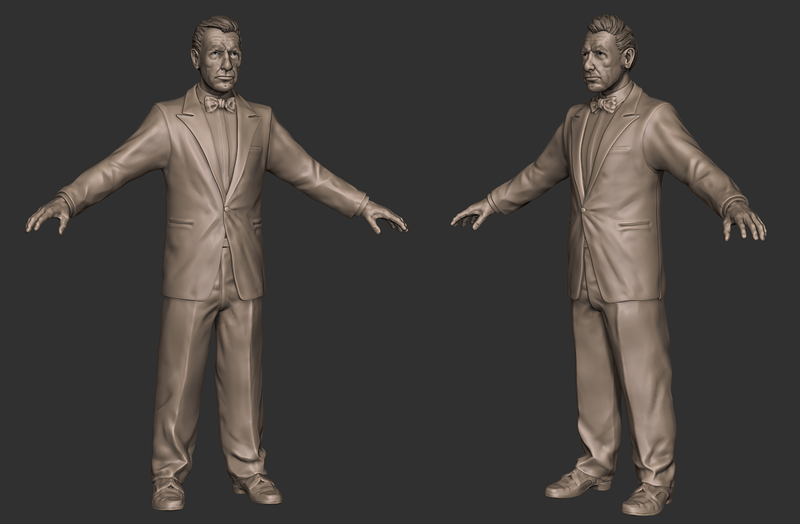 I've sculpted the shoes, tweaked all the clothing and added some hands I sculpted earlier. Just need to add some details like buttons on the jacket sleeves and some belt detail. I really dig the colors and style of your first pic, the black male character. Where did you learn the color use and texturing from? I am currently trying to teach myself about color theory and moving into some hand painted textures. I love the vibrancy! Maybe some credit is due to the lighting? It's just all about "training" your eyes! 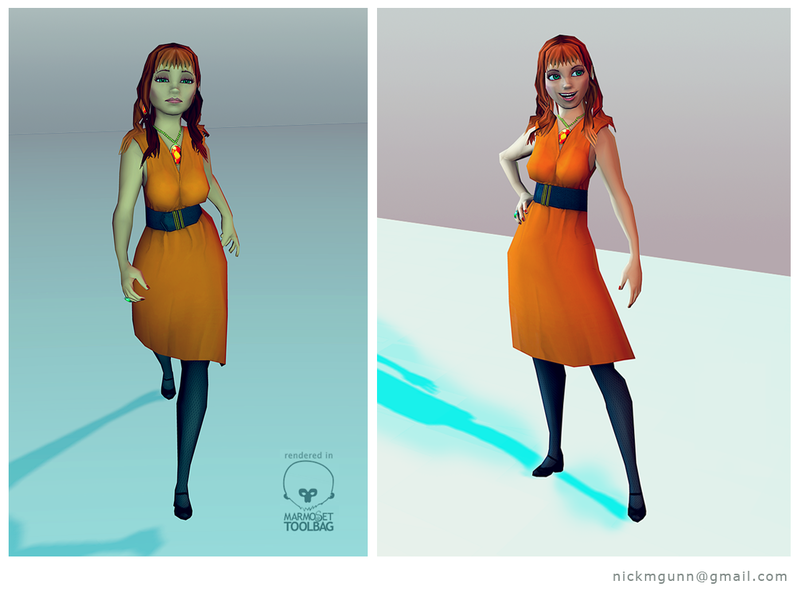 But I think you're right in that the key to that image was the lighting in Marmoset Toolbag. It's a lot of fun playing with it's lighting presets and messing with them by adding point lights and spot lights. I think I'm done with the hi-poly. Any suggestions for improvement much appreciated. I was playing with the length of the arms a lot, so input on if the proportions are off would be great. I'm also considering if his torso/jacket should be wider? I definitely want to add a cigarette.